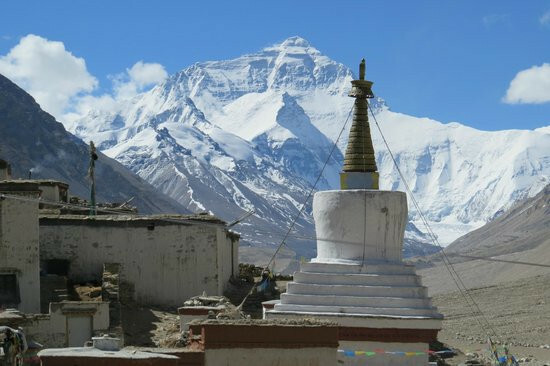 Journey to Tibet is a 8 Day Tour to the Roof of the World - Tibet. In these 8 days, you will be exploring many places in Tibet such as the capital city Lhasa, Shigatse, Xegar and Everest Base Camp. We will depart from the hotel at 8 am to the international airport of Kathmandu, our destination: Lhasa, capital of the Autonomous Region of Tibet. Approximately one hour flight to cross the Himalayan range and land on the Tibetan plateau. If the sky is clear during the flight we will enjoy close views of the highest peaks in the world. Once the border procedures are completed, we will exchange money in the local currency and after an hour of the road, we will arrive at the forbidden city of Lhasa around 4:00 pm (local time) because the whole People's Republic of China is governed by the Time zone of Beijing. Our hotel is in the best possible location, just over a kilometer from the Potala Palace and just 600 meters from the Barkhor, Lhasa's old town. 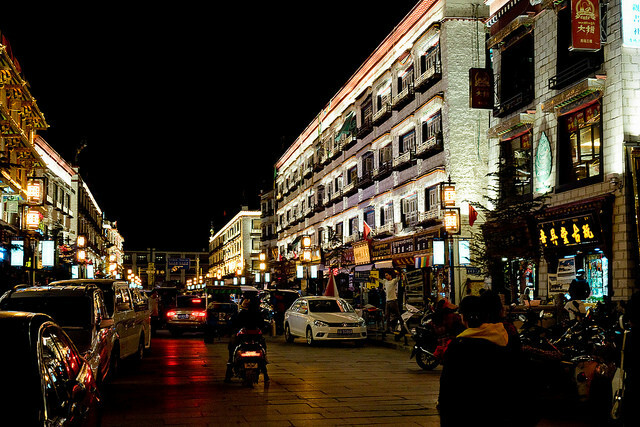 After an early dinner, we will take a walk to the Potala Palace Square, enjoy it illuminated at night and will acclimate to the height. 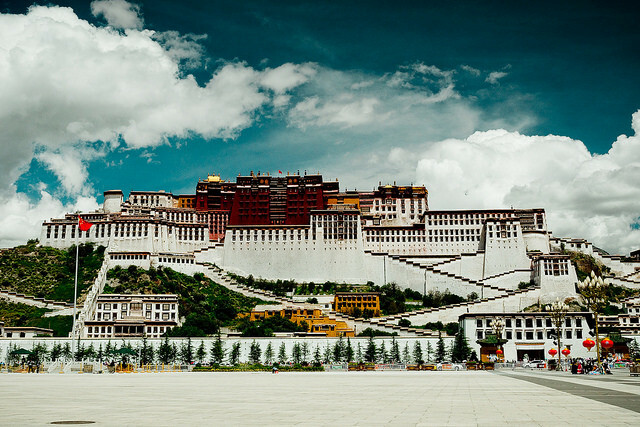 A majestic palace, a school of dialectics and the Dalai Lama's garden, a visit to Tibet cannot be considered complete without a visit to the Potala Palace, a spectacular building that literally dominates the Lhasa skyline. It contains the private stays of the consecutive Dalai Lama as well as numerous government rooms and many chapels. The oldest part of the palace is of the fifth and sixth centuries. But the palace as we can visit it today is in the seventeenth century. 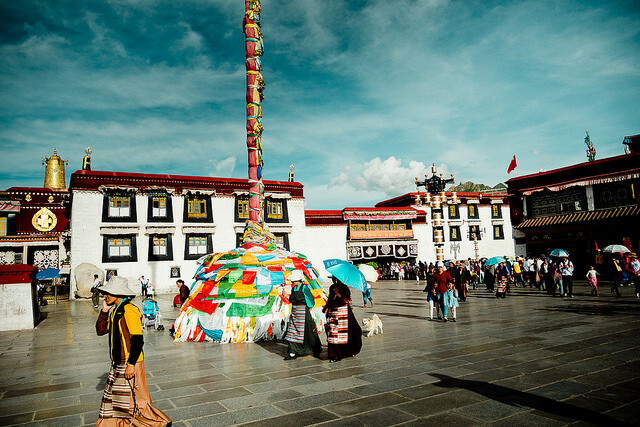 The Jokhang Temple, this is the most important pilgrimage point of Tibetan Buddhism. Around the temple is Barkhor Street where you can do kora (a religious circle of a building or mountain) with pilgrims and locals, in the meantime, you can buy souvenirs. In the morning we will visit the Monastery of Drepung founded in the fourteenth century. For a time it was the largest monastery in the world, with a population of about 10,000 monks. Today the number of monks has dropped to several hundred, but it remains a very interesting monastery to see because it did not suffer great damages during the Cultural Revolution. Norbulingka Monastery: Norbulingka is a Summer Palace of Dalai Lama, the most famous garden in Lhasa. It consists of several palace complexes, such as the Kelsang Potrang, Tsokyil Potrang, Golden Linka and Takten Migyur Potrang. Each palace complex is divided into three sections - the palace section, the section in front of the palaces and the woods. In the late afternoon, we will attend the philosophical debate in the monastery of Sera, the most important Buddhist University in Tibet. We will start our journey by the road where we will cross much of the plateau, we will drive towards Shigatse. Visiting the walled city of Gyantse. We will leave early in the morning, it is a long day but with some landscapes spectacular the speed limits are very severe and we will pass many controls, after almost three hours of the road we will reach the top of the Kamba pass (4700 mt). From here we enjoy a beautiful view of the sacred lake Yamdrok Tso of a perfect turquoise color. We go down the path and bordering the lake we will arrive in an hour approximately to the city of Nangartse (4,300mt) where we will stop for lunch. When we left Nangartse we started to climb the second step of the day: Kerala the 5,045 meters above sea level, from the top we can admire very closely the spectacular Nojin-Kangtsang glacier (7.206mt). Before we get to Gyantse we still have a very nice view. The construction of a hydroelectric plant has created a beautiful landscape of turquoise waters nestled in a beautiful valley. In about an hour we will reach Gyantse, an ancient walled city dominated by a fortress built in 1390. The original fortress is believed to have been built by Pelkhor-tsen, son of the anti-Buddhist king Langdharma, who reigned between 838 and 841. The walls were built in 1268 after the rise to power of the Sakyapa sect. Gyantse is known as "the city of heroes" because of the strong resistance they offered to the much superior forces of the British expedition to Tibet led by Francis Younghusband in 1903-1904. After visiting Gyantse, we have about two and a half hours to reach Shigatse. At dusk we can make a "kora" to the Monastery of Tashilhunpo, this means circumambulate it in the sense of clock hands. This is a Buddhist practice that in the sacred sites, the Tashilumpo ring road offers a good overview of the city, a good time to meditate or simply stroll and enjoy a beautiful sunset. In case of arriving late to Shigatse, we will do the morning kora following. We will take a drive of approximate 2 hrs. Or more to Sakya and visit the main monastery of the Sakyapa sect built in 1073. We will continue our journey through Tibet, we will have to cross two mountain passes to enter the National Park of Everest, the first Tso La (4,500mt) from where we will enjoy the typical landscape of the high plateau, a large horizon of small Valleys and a blue sky like in few places. The second step of the day will be the highest point of our journey, the passage of Lhakpa La (5,220mt). Here we officially enter the Chomolungma National Park, this is called Everest in Tibetan. To the descent of the step, if the sky is clear and we will be able to enjoy the view of Everest. We will arrive in Xegar (New Tingri) where we will spend the night. Today is the hardest day of our adventure, we will leave the hotel before dawn, despite having only 110 kilometers to Everest base camp takes about 3 hours, we will arrive at Ronbuk, the last inhabited nucleus in the vicinity of Everest. This is an esplanade with semi-nomadic shops that serve as hotels and restaurants, in early November this camp is closed due to the rigor of winter. From here on a bus (the only one allowed to Circular) we approach the viewpoint of the base camp, a road about three kilometers. From this viewpoint full of Prayer flags we enjoyed a spectacular panoramic view of the Himalayas presided over by Everest, at our feet in a Rocky esplanade is set up the base camp of the expeditions, a set of mobile shops from where it begins the hard ascension to the roof of the world by its north face, the expeditions usually are from April to September. We will also visit the cave where Guru Rinpoche meditated. After spending a few hours on the roof of the world, we began our return 2 hours’ drive to Old Tingri. Then from old Tingri, you will view the amazing scene of Himalaya Range and Mt Everest. After breakfast we proceed to beautiful drive through a series of switchback bends the road descends to Nyalam within the Matsang Tsangpo gorge and beautiful waterfalls can be seen on both side of the road. The trip continues to pass over two spectacular passes: Thong La pass (5050m) and Lalung La pass (5082m). Along with the two passes, we also get to enjoy fabulous views of the high mountains including Shisha Pangma (8,013m). We will visit Milarepa cave on the way. It is the site of the celebrated philosopher’s meditation. Reach Sino Nepal border. Drive 22 km to Nepal border, immigration formality and further drive 7/ 8 hours to reach Kathmandu.